This is the seventh generic player to enter the market. As per the litigation charges by Otsuka, the innovator, there have been more than 20 applications for the generic. However, till date only seven players have got final approval from USFDA. The pricing for the drug has reduced a lot (as per few research reports its more than 80 - 90% of the brand). However, its will still remain a decent opportunity for the generic players given its large market size. I too went through the annual report and was pleased at the articulation of co’s plans. They are going to utilise the unexpected windfall of abilify to augment their manufacturing capacities and put more money into r and d and that should help in bolstering the filings and subsequent approvals. So they want to increase approvals and then be ready with capacities to meet demand created with these approvals. What markets would be worried about is what kind of impact these heavy R&D expenses are going to have on earnings for next year and few years down the line. I think these are mainly concerns for shorter term oriented investors and for those with a view of 3-5 years and more it should not matter too much. The front end in USA should help in shoring up margins to some extent. Coupled with a strong pipeline and increasing focus on further filings should place alembic in a sweet spot. Pharma bull seems to be taking a pause after sharp run up in preceding months. How long this slumber lasts needs to be seen. Disc: invested in alembic pharma but I have majorly trimmed my exposure to pharma. 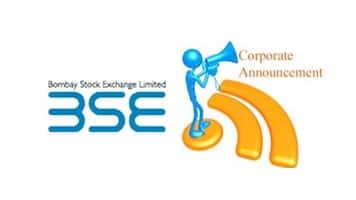 Alembic Pharmaceuticals Ltd has informed BSE that the Company’s API Facilities i.e. API I and API II both located at Panelav have been successfully inspected by the USFDA between June 20, 2016 and June 29, 2016. The Company did not receive any Form 483 observations. Alembic Pharma received tentative approval from the USFDA for Febuxostat Tablets 40mg and 80mg. Used for the chronic management of hyperuricemia in patients with gout. Uloric had an estimated market size of US$ 430 million for 12m ending Dec 2015. Was US$ 260 million for 12m ending June 2013. Other tentative approval holder(s) - Mylan (just one). DMF holders (approx dozen) - Alembic, Apotex, Chongqing, DRL, Emcure, Jubilant, Macleods, Mylan, Sun, Teva, Waterstone and Zhejiang. Alembic has patent relating to a solid oral preparation of Febuxostat and process for preparation thereof. Mylan has patent relating to an improved process for the preparation of Febuxostat Form-K.
Alembic Pharmaceuticals has received Establishment Inspection Report (EIR) from USFDA for the inspection carried out by them at the Company’s Karakhadi API Plant III in April, 2015. Alembic Pharmaceuticals has received Establishment Inspection Report (EIR) from USFDA for the inspection carried out by them at the Company's Karakhadi API Plant III in April, 2015. The June quarter DMF filing list of USFDA is out and Alembic continues to file DMF in Oncology space (although, they have filed just one DMF this quarter). gBosulif (Bosutinib; innovator - Wyetha Pharma [now marketed by Pfizer post acquisition). Exclusivity Expiry - September 4, 2019 & Patent Expiry - Mar 27, 2018. Bosutinib is a tyrosine kinase inhibitor. It is used to treat adults who have a type of leukemia called Philadelphia chromosome–positive chronic myelogenous leukemia (Ph+ CML) who no longer benefit from or did not tolerate other treatment. It was approved by USFDA on September 12, 2012. Alembic is the second DMF filer for the drug after MSN Laboratories (surprisingly I had worked on the molecule while preparing for the products under development for Shilpa which is yet to file the DMF for the same). It is projected to have sales of USD 300 - 350 million by 2016 and is amongst the high growth molecules of Pfizer albeit on a low base (Pfizer doesn’t disclose its sales in its results). Sorry to bug you again on this thread. Do you think an OPM of 40-45% for alembic (being a b2c company) in next 7-8 years achievable? The reason I am asking about the margins in the future is because I am working on a quant model (which is currently far from being accurate) based on previous years’ sales vs profits data. This model is predicting a 44-45% margins if the company achieves a 20-21% sales cagr on FY16 base in next 7 years. I want more expert inputs to so that I can tweak the model based on that. Alembic Pharma Q1FY17 results are out. Revenue up 25%. PAT up 45%. Speaking to CNBC-TV18 Pranav Amin, Managing Director of Alembic Pharmaceuticals, said that good Q1 numbers were led by international business. Sales of its anti-psychotic drug Abilify was one of the reasons the company saw higher sales, he said. I think even the promoters wouldnt know that they can have an OPM of 40 - 45% over the next seven years I think in pharma business with uncertainties on approval from USFDA, competition for the drug and litigation from innovators it would be difficult to predict how things will shape up. If you look at the pharma space apart from Sun (discounting the last few quarters hiccups due to Ranbaxy integration and Halol plant compliance issues), none of the other large generic players like Lupin, DRL have had margins of more than 30% (Ajanta is an exception in mid sized pharma cos). For Alembic, I would be happy if with increased R&D spent, they are able to achieve OPM margins of 25% over the next three years. Personally, I feel that working on quant models especially for pharma companies having exposure to markets like US or even other geographies (with currency depreciation, political issues etc) is futile. These models work only for steady state companies with predictable earnings like FMCG, consumer durables etc. Showing Q4 sales. We had dropped share from 9 to 4%. Abilify continues to be big. There will be lot more erosion due to new entrant. It is marketed through a partner. Own front end came and did good job in other launches. Happy with progress. double digit share in some pdts. Settled with erstwhile partner to launch from own front end. One time cost in other expense. Cant share details due to confidentiality agreement. Wait for Q2 to get clarity. All shifting of old products is completed. Pricing pressure- Generally, FDA giving faster approvals. With new launches, there will be pricing pressure. This is across the board whether you are a small or large player. Warfarin- Co-developed product. Lack of clarity from FDA and marketing. Not counting too much on it. R&D spend- 400-450cr full yr so next Qs will be higher. Some variations may happen due to nature of work eg clinical trials etc. Filing rates have been lower than what we want. Ramp up from H2. Everyone talking of complex generics, onco, injectibles but it all depends on execution. 6-8 launches for the year. Litigation products you can look up. 31 products pending approval (6 are 2-3 yrs, 4 are 1-2 yrs, 9 are 0-1 yrs). 40% are either Para 4 or FTF. JV with orbicular-Will develop basket of derma pdts. Facility not ready but development is in advanced stage. FY18 could be same or higher R&D expense. Onco injectibles facility ready by end of this year. Filings will come H2 next yr onwards. General injectibles- end of next year. Derma also end of next year. Pre-R&D EBITDA will continue to improve on base business. Post R&D there will be a pressure. High R&D expenses: Company has aggressive plans for R&D and it believes that focus on it will help company in its growth plans in future. The major cost in R&D are for bioequivalence and clinical studies while salaries to scientists and other employees contributes hardly 10% of the total R&D costs. The company has increased number of projects it has been working on from 40 to more than 250 currently. As guided in the concalls, the R&D costs will remain around Rs.400 - 450 crore during FY17. The company is yet to file for oncology ANDAs and will start filing only after completion of construction of the formulation plants. The company has plans to ramp up its filings in the near to medium term to double digits. Domestic Markets: The domestic markets were under pressure during Q1FY17 on account of frequent changes in government policies, ban on FDCs and new molecules being included NLEM. 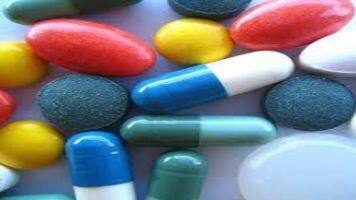 The company aspires to grow at a faster rate than overall growth in the pharma sector. Althrocin, one of company’s largest brands, has come out of price control in the current year. The company continues to focus on speciality segment where it expects to continue its past growth rates in the future. US markets: US markets is the major focus of the company. The management is pretty happy with the performance of the front end marketing team with the company being able to garner double digit market share in some of the molecules (this was the biggest take away for me from the AGM). In the future, most of the launches will be through its own front end. gAbilify pricing has been under pressure due to entry to new players, however, it still remains a very attractive product. gAbilify ODT is a small molecule (market size of around USD 10 - 20 million) where even innovator has withdrawn from the market and Alembic is the only generic player in the market. However, some further competition is expected in both gAbilify and gAbilify ODT in the near term. Derma, oncology and injectable entry: The construction of oncology injectable plant is expected to be completed by end of this year, while Derma plant (through Oribicular JV) is expected to be completed by middle of next year while normal injectable plant is expected to be completed by end of next year. While being asked about increasing focus of most of the pharma companies on injectables, derma and oncology opportunity, company said that there are hardly any Indian generic companies apart from Sun, Dr Reddy’s present in this space and there are many molecules whose patents are expiring in the medium term. The management indicated that it all boils down to execution. Despite filing for these molecules a bit late, management said that since approval time lines have reduced to around one year, they should be able to be ready for the plant by 2019. USFDA compliance: The company was pretty confident that the observations for formulations plant were minor in nature while the API plants didnt receive any observations. Rhizen: The company is working on clinical trials of two molecules (NCE), out of which one is in oncology and other one is being developed for treatment of Asthma. 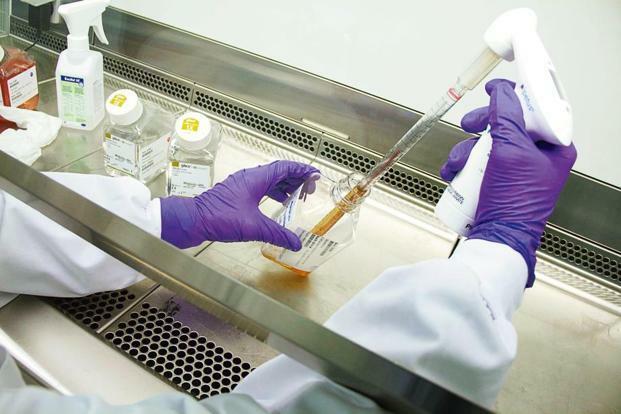 The oncology molecule is undergoing phase 3 trials while the one used for treatment of Asthma is in preclinical phase - 1 trials. Dividend policy: The company did not distribute higher dividend this year despite significant growth in the profitability as it wanted to conserve cash for the future capex and R&D programs. 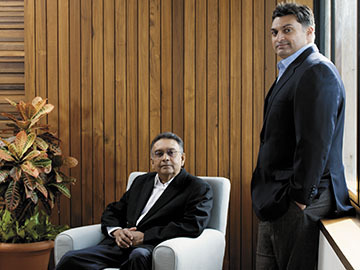 On being asked about the companies he admires, the management said that Sun, Lupin and Cadila have done really well over the years. Tried to update the same with latest data available. Little query here.- Is the sales of Memantine Hydrochloride, Linezolid, Celecoxib reflecting in the last two quarters or not as Alembic has got the approvals for the same? Disclosure: Not invested in Alembic. The company got approval for all the three drugs mentioned by you and this would be reflecting in company’s sales from the US markets. Infact, gNamenda (Memantine Hydrochloride) was the first generic to be launched by Alembic through its own front end in the US markets. The company has also launched gCelebrex (Celecoxib) and as per management commentary in the concall it remains an attractive product. gZyvox (Linezolid) was expected to be launched in around Feb, 2016 as per the concall details. Personally, I think all the three products have high competition with presence of more than 7 - 8 generics and the price erosion would be quite severe around 90 - 95%. I just wondered if we should try to model the sheer amount of price erosion which could possibly happen given we know the number of competitors getting approval. I think we should work on it because the difference in earnings for a company for a drug with 90% price erosion vs 99% price erosion is 10x! (Ofc assuming similar market share). What I know for sure that this is a difficult problem to tame as even the promoters of these pharma companies can’t predict the amount of price erosion. But I still think that given some awesome people out here in valuepickr, we can leverage each other’s expertise to tackle this.